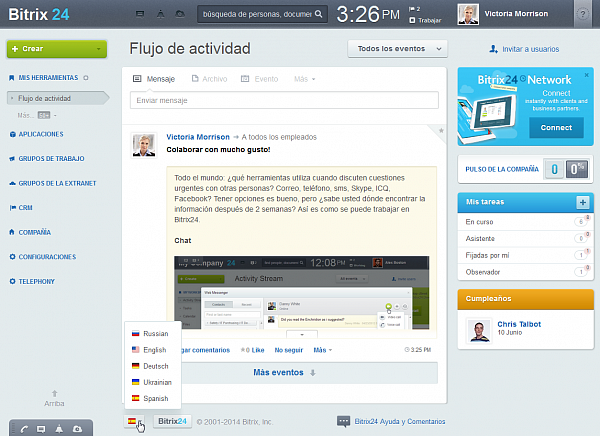 We are happy to inform you that Bitrix24 is now available in Spanish. To change your interface language, log in and scroll down to the very bottom. Please note that each user can change his or her personal language settings only, so your employees can use Spanish, English, Russian, Ukrainian and German interfaces for the same Bitrix24 account simultaneously. Make sure you share the good news in Twitter, Facebook and other social media networks.